The Ekiti State Governor, Mr. Ayodele Fayose, has asked President Muhammadu Buhari to start his anti-corruption fight by probing those that sponsored his election to reveal their sources of income. Fayose said, “Some of those who sponsored the President’s election have not done any other jobs apart from holding public offices. Yet, they provided private jets and funds with which the President campaigned across the length and breadth of Nigeria. He should let Nigerians know where they got money to buy private jets and the several billions of naira spent on his election. “No one sits with corruption to fight corruption because as it is today, President Buhari is sitting among corrupt people and he must first extricate himself from the comity of corruption”. 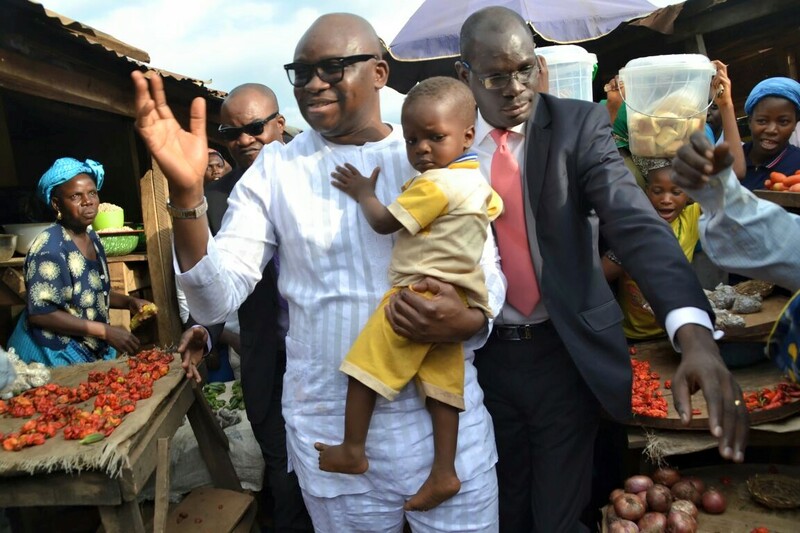 Fayose, who spoke through his Special Assistant on Public Communications and New Media, Lere Olayinka, on Wednesday took a swipe at the Federal Government anti-corruption drive, describing it as mere noise-making, witch-hunt and diversionary tactic to hoodwink the public into overlooking the seeming failure of the government to deliver on its electoral promises. The governor said, “If President Mohammadu Buhari knows exactly where the stolen funds are kept and who looted the funds, he does not need all these public announcements. Rather, he should make public names of the looters and bring back the purported stolen funds, location of which he has identified. It is when he is able to bring back the money that he should make announcements of recovered funds. “You don’t announce a process to the public; rather, you announce the results because that is what is of interest to the people. It is like you are announcing that you know where armed robbers reside, won’t they change their location? He said President Buhari and his men should know that Nigeria of today is different from that of 1983 and that unlike 1983, nothing could prevent them from asking questions.